If you have a car, a home, a savings account, investments or other material possessions, you have an estate — and hopefully a plan to ensure that your wishes on who gets all your possessions are fulfilled after you pass on. This is what estate planning is all about—making a plan to pass on your material goods in advance. And while estate planning is often associated with the wealthy, Mooney Lyons and other financial advisors say that most Americans can benefit from it. 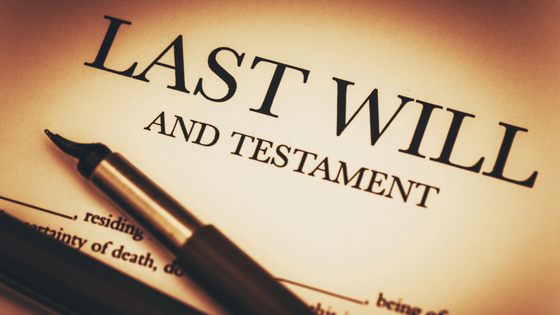 The most basic part of estate planning is a will. And it is a must-have: Advisors caution that dying intestate (having no will) will result in a state court deciding who gets your assets and if you have children, who will care for them. If you don’t have a document telling the court what you’ve decided, it won’t be your choice. Another often-overlooked element of estate planning is updating your beneficiaries: explaining who gets your financial assets such as individual retirement accounts, 401(k) plans and life insurance policies. It is imperative to make sure that all forms are in order. Investment and bank accounts may require a “POD” (payable on death) or “TOD” (transfer on death) form to make sure heirs get access to money upon the account holder’s death. It is also important to have an outline of all this information that explains where your important documents are located as well as account numbers and contact information that the trustee and/or executor can reference. All of this information should be collected in one integrated document and held by the trusts and estates lawyer. One more thing: Most people don’t take into consideration that if your name is on the title of your assets and you can’t conduct business due to mental or physical incapacity, only a court appointee can sign for you. This means they will be the one that controls how your assets are used to care for you. All in all, it can become expensive and time-consuming. The bottom line is that having an estate plan gives you the control of having your family matters handled privately by your family, not by the courts. For more information on the benefits of estate plans, call Mooney Lyons Financial Services at 847-382-2600 or visit us at mooneylyons.com for more information.